The sweeping and ongoing changes in the way people gather, process and internalize information have escaped only a few. The emergence of diverse demographic groups in a country like India is equally astounding. The average urban individual, once determined and armed with an Internet-connected device, can find and decode within hours almost everything she wishes to know about a product, service or a public entity. Simultaneously there exist large populations subscribing to a newspaper or buying a TV for the first time. On the other side of the arena, individuals and organizations have many of their fundamental beliefs about communications reshuffled, turned upside down and inside out. The notion of a source as something one can control is constantly challenged – a disgruntled employee or customer can be a more powerful source today than the CEO. In the middle space that mass media has historically occupied, centuries old business models are collapsing with no prescriptive and dominant business model of the future yet in sight. The online media is the wild west of today with little regard for the conventional rulebooks. Evoc, like every start-up, is the product of its environment. Start-ups also have a rare window to alter and reshape their environment. 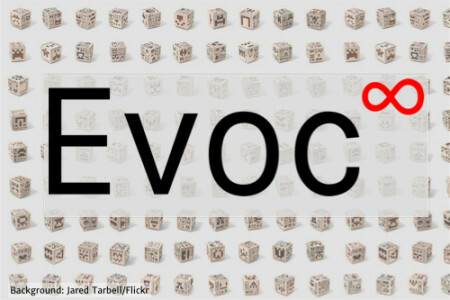 As the first true media and tool-agnostic communications consultancy of this age, Evoc aims to demystify effective marketing and corporate communications. Its approach to consulting is rooted in systems theory. To communicate effectively, Evoc believes that a focus on the foundation – your business and marketing strategy is vital. It also draws upon the same advanced analytical tools, models and frameworks employed in management consulting. These are capabilities necessary to understand and diagnose marketing and communications problems distinctly and accurately. Evoc’s vision is to establish and constantly redefine the gold standard for communications consulting worldwide. The mission is client-centric, to make people and organizations more successful than ever with their communication programs. Research and analytics sit at the heart of Evoc’s approach to strategy, planning and measurement. Evoc will provide marketers access to reliable and relevant data that helps them make better decisions. It will not only draw upon cutting-edge research across the breadth of human behavioral sciences, but also initiate or facilitate it. Fundamentally, Evoc is media, platform and tool-agnostic – as comfortable with smartphones as with a poster. This freedom from systemic bias will allow our team of consultants to recommend the optimal solution for your communication problems – a mix of advertising, public relations, or other forms of outreach – via digital or traditional media. Among other benefits, this ensures that your campaigns are more effective with minimal time and money commitments. Over time, Evoc will be recognized as home to the best communications consultants in business. To our employees, Evoc is committed to offer simply the best workplace in the industry to fulfill their career ambitions. We will also offer them a warm and friendly environment that puts our people first, in addition to offering industry-leading employee benefits.